Ring News 24Boxing News Breaking Boxing NewsHas Jarrell Miller earned a shot at Anthony Joshua or could Fres Oquendo be his next fight? Has Jarrell Miller earned a shot at Anthony Joshua or could Fres Oquendo be his next fight? One of America’s most outspoken heavyweights, Jarrell “Big Baby” Miller, made short work of former two-division champion Tomasz Adamek on Saturday night inside of the Wintrust Arena in Chicago, Illinois. Miller, 30, was simply too strong and powerful for the former light-heavyweight/cruiserweight belt-holder, as he stormed his way towards a convincing second round TKO victory. Miller (22-0-1, 19 KO’s) overwhelmed Adamek (53-6, 31 KO’s) as expected, but it wasn’t exactly a victory that raised too many eyebrows. Adamek, at 41 years old, has seen his best days pass him by and was stopped at 0:51 seconds of the second round after absorbing all kinds of blows of punches to his body and head. Adamek was once a proud champion and contender, having beaten the likes of Steven Cunningham, Eddie Chambers, Chris Arreola, Jonathan Banks, and others, while also landing a shot and then-champion Vitali Klitschko in 2011. But those days are well in the past and this was a big mismatch. But one can’t really blame Miller. His job as a fighter is to take care of what is in front of him and that’s exactly what he did. But what does the future hold for this super-heavyweight? Miller surprised many by weighing in at a robust 317 pounds for this fight, making many question how serious he took his training camp. 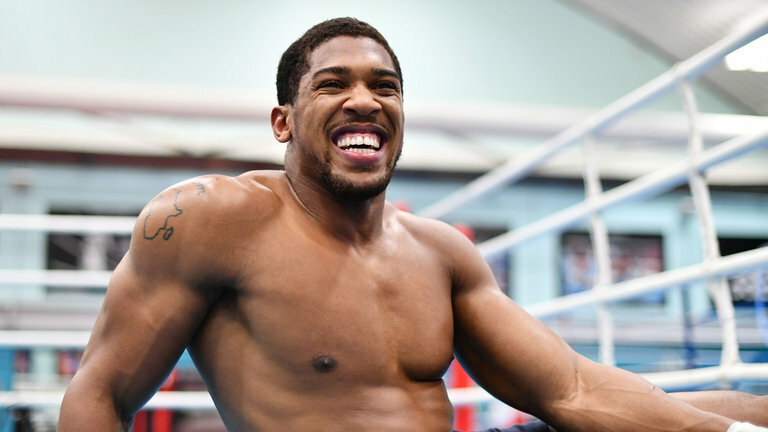 Everyone in the sport knows that Miller has been chasing a fight with IBF/WBA/WBO heavyweight champion Anthony Joshua, who is promoted by Matchroom Boxing’s Eddie Hearn, and he seems unsure whether this fight will happen next. Speaking to Skysports after the match, Miller seems to have faith that it will happen. Another option could see Miller fight for the vacant WBA “world” title net, likely against 45-year old longtime contender Fres Oquendo. Oquendo hasn’t fought since 2014, as he has seen numerous opponents pull out on him. Most recently Manuel Charr failed a drug test to cancel his fight with Oquendo, leaving things up in the air. While Joshua is obliviously a far more lucrative and attractive matchup for Miller, don’t be surprised if he lands Oquendo instead. The reason is because of politics. Joshua’s promoter Hearn has many options for his fighter, whether it be the Deontay Wilder vs. Tyson Fury winner (they fight December 1st) or a rematch with Dillian Whyte. Miller vs. Joshua would make sense for a big fight in New York, but Miller vs. Oquendo is a fight that could draw interest, and a crowd, in Oquendo’s hometown of Chicago.